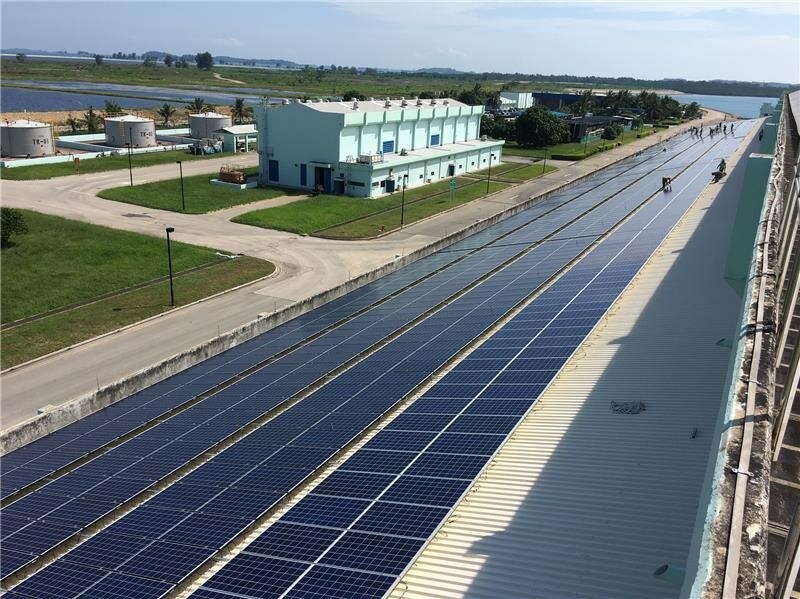 Nanyang Technological University (NTU Singapore) is building an offshore system that will integrate multiple renewable energy sources such as solar, wind, tidal, diesel, and power-to-gas technologies. The region’s first large-scale offshore power grid system, it will have four hybrid microgrids, occupying over 64,000 sq metres of land or roughly about eight soccer fields. The system will be built at Semakau Landfill which is managed by the National Environment Agency (NEA). It will have over 3,000 sq. metres of photovoltaic (PV) panels, including energy storage systems that are already in operation. The deployment of the first hybrid microgrid was announced today by Mr Masagos Zulkifli, Minister for the Environment and Water Resources at the Asia Clean Energy Summit (ACES) held at the Sands Expo and Convention Centre, Marina Bay Sands. Once all four hybrid microgrids are fully built, they are expected to produce stable and consistent power in the megawatt (MW) range, suitable for small islands, isolated villages, and emergency power supplies. It will also produce energy amounting to the equivalent of the average energy consumption of 250 4-room HDB flats for a year. Fish hatcheries and nurseries located at Semakau Landfill will be among the first to be powered. Built under the Renewable Energy Integration Demonstrator-Singapore (REIDS) initiative led by NTU, the hybrid power grid system will test the integration of solar, wind, tidal-current, diesel, energy storage and power-to-gas technologies and ensure these energy sources operate well together. Supported by the Singapore Economic Development Board (EDB) and NEA, NTU’s REIDS initiative will also facilitate the development and commercialisation of microgrid technologies suited for a tropical island. Managed by NTU’s Energy Research Institute ([email protected]), the REIDS initiative is expected to attract $20 million worth of projects over the next five years, in addition to the initial $10 million investment in infrastructure at the landfill. REIDS has attracted investments from top energy and microgrid companies which aim to co-develop such solutions to serve the growing market in Southeast Asia. The four microgrid systems will be developed by ENGIE, GE Grid Solutions, LS Industrial Solutions (LSIS) and Schneider Electric. Other partners include Accenture, Class NK, DLRE, Renewable Energy Corporation (REC), Trina Solar. LSIS and Sony were also announced as partners today at ACES 2016. The REIDS platform will pave the way for similar technologies to be developed and exported to serve the numerous remote communities in Southeast Asia and beyond. It has already attracted the interest of regional adopters such as island communities and utilities. For instance, Bawah Island, an Indonesian island in the South China Sea, and Meralco, the largest electric distribution company in the Philippines, will partner REIDS to develop offshore microgrid projects.